There is nothing more frustrating than seeing capital sitting in unsold warehouse stock. So why do so many managers continue to sign off on the same $50,000 stock order every month? Because they believe that’s the safest thing to do to ensure there is always enough stock. However, it doesn’t need to be this way. 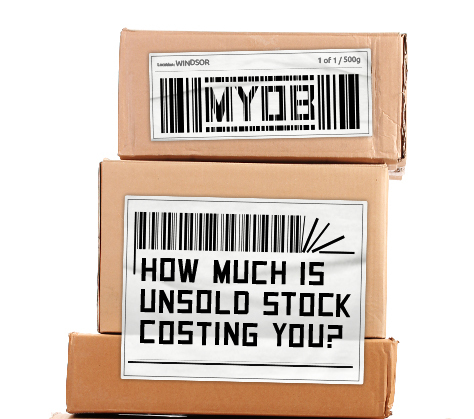 MYOB’s range of bigger business solutions have helped thousands of larger businesses take control of stock and it can help yours too. Consumers expect that when they are shopping for an item, it is in stock. The question from a retailer’s point of view is: How does a business uphold this reputation without carrying too much stock that results in a negative return on inventory investment? Industry experts agree that the most significant factors that impact on profit in an inventory-based business is overstocks and stock-outs. By automating the inventory planning process, businesses are able to understand purchasing patterns. Therefore, by generating accurate forecasts, inventory levels are optimised. Ultimately taking the guesswork out of purchasing will optimise sales and profit. Implementing better inventory optimization in your organisation will give you the one thing that’s critical for every business – improved cash flow. Find out more about taking out the guesswork of purchasing to optimise sales and profit by downloading the factsheets below. If you wish to speak with one of our specialists feel free to fill out the form below or contact us at [email protected] or by calling 1300 857 464.